Worst Tariffs Ever. Smoot-Hawley Tariff History And Why Tariffs Will Not Work. Trump proposes tariffs… Trump’s supporters support it… all without thinking and both ignoring consequences. Trump and his supporters think that trade wars are easy, long overdue and that they can be easily won. All involved will lose. And all will lose big. 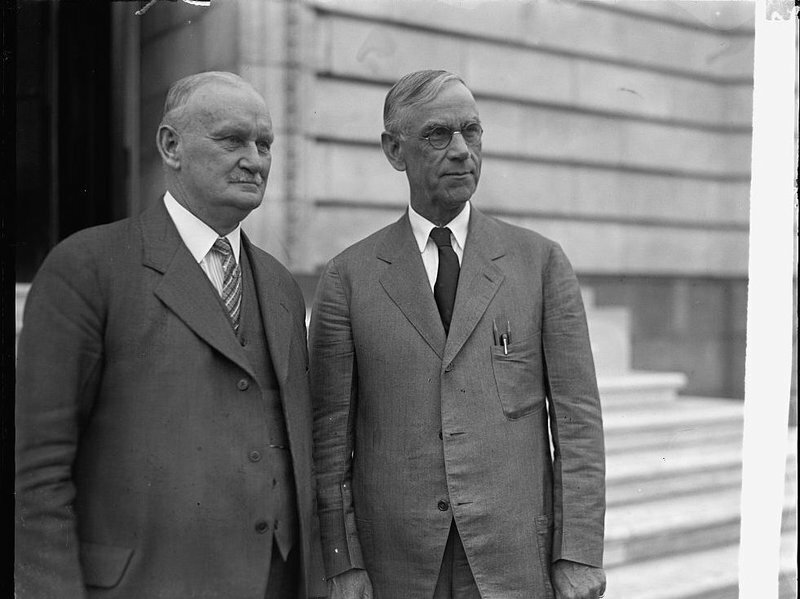 Learn how the Smoot-Hawley tariff act of 1930 helped tank the world economy. And why it means that today, 90 years later, President Trump has the power to start what many people say is a trade war. While the entire world moved away from tariffs since 1930, Drumpf, who is stuck in 1930 is returning back to it and is going for all Americans to repeat the history. You know, when you do not learn or forget history, you are doomed to repeat it. Brace yourself for a New Great Depression. You have been bashing trump for quite a long time. Some of it is deserved and other complaints seem like your whining. What is your solution to our massive true surplus, China break trade rules buy p roping up local industry, and stealing American companies intellectual property? Difficult to explain to someone who doesn’t understand. First, China manufactures many items for the entire world, not just US. Chinese workers work for $10 a day, while the US worker works for about $90 a day. Unless you want people in the US to work for $10 a day or less to compete with Chinese, or consumers start paying a lot more for items previously manufactured in China for $10 a day but now in the US for $90 a day then this is not the way. Our economy is no longer based on 1950s manufacturing and no tariffs will solve this. Secondly, we are trading with the world on surplus because we are rich and we can afford it. We can tell a cheap worker to assemble our stuff, buy it from him, and pay him with a pretty much worthless green paper with still fresh ink on it. We get iPhones, he gets a small paper saying “In God We Trust”… What tariffs will do to this is simple, it will make Chinese previously cheep goods we so happily buy expensive, iPhones will no longer cost ridiculous $900 a piece but maybe $1,800 a piece (unless you believe that corporations will be so patriotic and do not pass their increased costs on us consumers and swallow it, but believing in this is naive). And that will have a domino effect on many other stuff such as inflation, interest rates, consumer spending, economic growth (please, study a US history on tariffs and not just the one at 1930, to see what happened in the past, and it in no means solved the trade deficits or surpluses of anyone – and every economist in the entire world will confirm this, it is also taught in any economic college and University). Thirdly, please, explain to me/us, how tariffs will prevent Chinese from stealing an intellectual property? explain to me/us how Chinese are propping up local industry and how that impacts the US? They have been doing this since 1990 and yet the US prospered greatly even without tariffs. Also explain to me/us how tariffs will stop Chinese from propping their local economy and how that helps the US and the US economy? And yes, I bash Trump for his populist ignorance and lack of any economic and business knowledge. He is not a businessman he convinced you to believe he was. Sticking his name on every building he bought or built (with employing illegal immigrants and not paying his contractors) is not a successful business. And, I am not whining. I am criticizing him for destroying American economy (as, unfortunately, every Republican since Reagan did, although Trump is a crony Republican since he was a long life Democrat supporting Clintons and liberal agenda…). I would be really happy, if you answer my questions above and provide examples of how the tariffs solve those problems (and if you, same as Trump, believe in tariffs as a mean of punishment to Chinese for stealing our intellectual property and breaking whatever else, then these will not work either, punishing Chinese with tariffs will not make the US trading with them with surplus trade balance or stop them stealing… it will punish the US consumers, and on top of that, it is childish). Trump wasn’t able to explain it to anybody so maybe you will be the first one to open my/ours eyes.